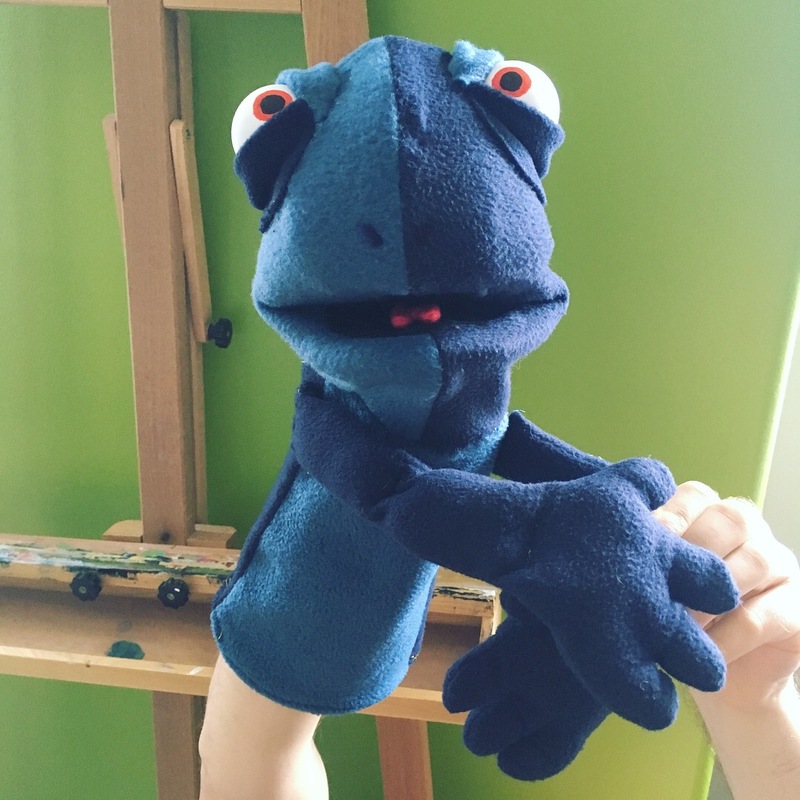 — I thought I would be able to sew everything by machine, but a few different parts required me to whipstitch some fairly intense parts of the fabric — sewing the round faceplate into the puppet’s face, sewing the neck to the body, and sewing the arms on. This made the process take so much longer than I expected, partially because I know how much wear and tear these puppets are going to face (so I may have been a bit overzealous with my reinforcing of the stitches). — I couldn’t find affordable reticulated/polyurethane foam for the skull and mouthplate of the puppet at first, so I instead used 6mm EVA foam. The resulting skull was quite blocky and firm, and pretty uncomfortable to handle. The mouthplate is very robust, and Harle’s mouth hangs open unless it is being shut by a puppeteer. I eventually found thicker polyurethane foam at Wal-Mart (1″ instead of 1/2″) and I had to trim away at it with my scissors. For the next puppet, I am going to try and saw some polyurethane foam in half with an exacto, and see what comes of it. It will almost definitely be painstaking, but for what I need it for, it may do the trick. 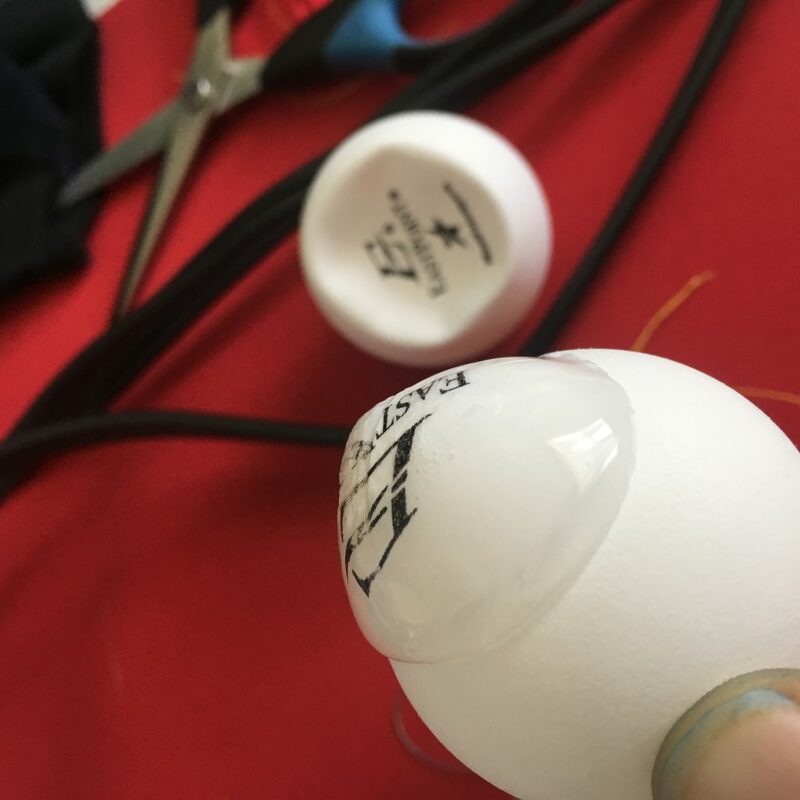 — I bought ping-pong balls to use for eyes, and I compressed them inward in one spot to create an indented spot for the glue to hold and to make sure that the eyeballs would lay flat on the puppet’s head. Unthinking, I applied hot glue to this spot, and to my surprise, it began to expand outward, far beyond the original shape of the ping-pong ball. I could have anticipated this if I had thought about the trapped air inside the ping-pong ball heating up and expanding, but alas, I did not. It was a bit of a mess, but I managed to clean everything up all right. 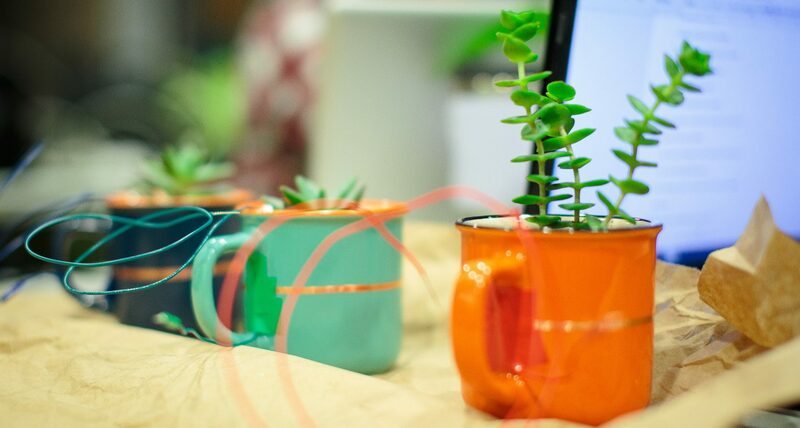 Throughout this process, which turned out to be a bit slower than originally anticipated, I began to think with the materials — which is exactly what I had been hoping to do originally. It made me realize that I didn’t want to make generic puppets — I wanted to make characters that players could then choose as their assistants in the game. I like the idea of the puppets being actors or helpers to the players, rather than blank slates for them to project upon. I have also been toying with the idea of having spots of velcro on the puppets where one can add accessories. I’m unsure about that for the moment. I am thinking that perhaps the electronics ought to be housed in vests/clothing on the puppets rather than sewn directly onto them. Oh, I also found a number of tutorials doing exactly the sort of thing that I want to do with NeoPixels and the micro:bits (by which I mean, using NeoPixel rings with micro:bits). On to the next puppet!